KOEL GREEN is the market leader and India’s #1 Genset Brand. KOEL’s customised power solutions suit a wide range of applications, meeting prime power requirements. KOEL GREEN Gensets are available in sound resistant and environment friendly canopies. KOEL GREEN high horse power (HHP) range is spearheaded by SL90 and DV series. Upgraded with carefully selected technologies to meet latest CPCB emission norms, both SL90 and DV series Gensets are the most efficient machines delivering clean power to large requirements. Having best-in-class fuel economy, the performance capabilities are further enhanced with best-in- class block loading. 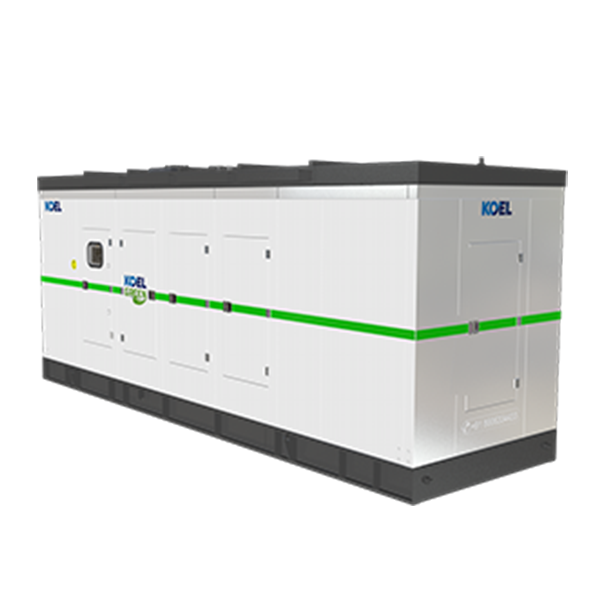 KOEL Green HHP Gensets are extensively used in a variety of applications ranging from standard stand-alone Gensets to auto synchronized Gensets, special applications like Stone Crusher to Heat Exchanger cooled solutions for basement installations. KOEL Green is celebrating 30,000 HHP Genset sales, a testimony of superlative product performance in most demanding applications and customer’s trust in the range.